This post contains affiliate link. Thanks for your support! I'm so excited! 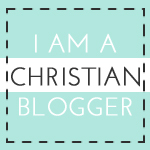 I've just done my first ever guest post! 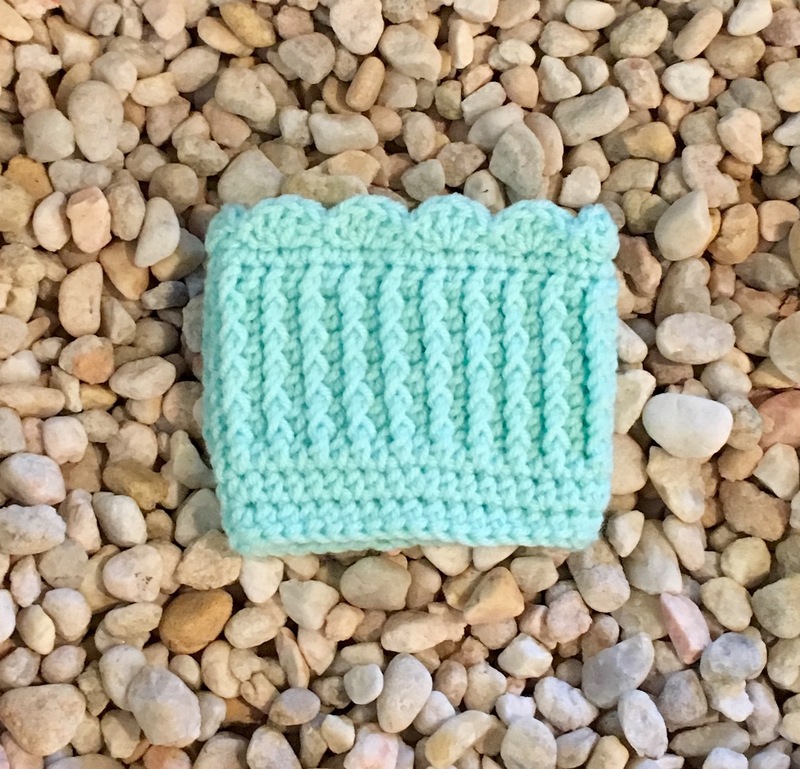 I wrote for and debuted my newest pattern on the Stitch and Unwind crochet and knitting blog. And, I'm so excited to share this adorable new pattern with you. 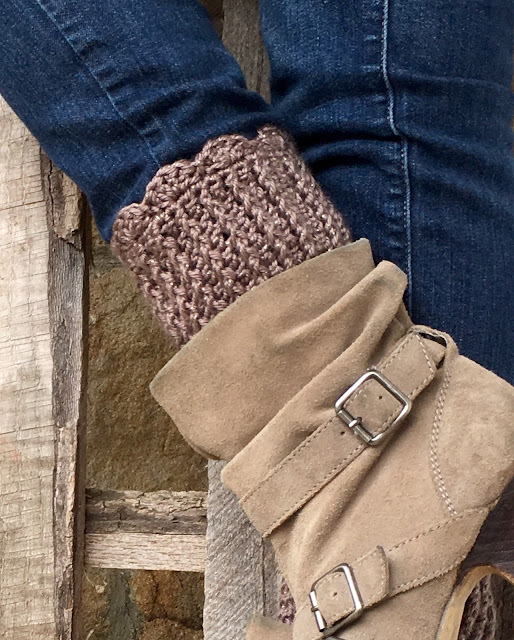 I know you'll be clamoring to make multiple pairs of these sweet little boot cuffs. 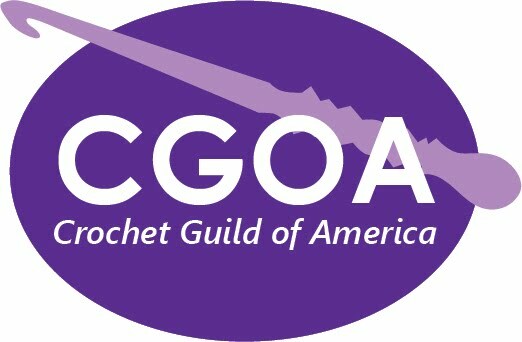 You can own a copy of this pattern, view it offline and be a smart and savvy crocheter on the go! (not to mention a beautiful, generous, kind crocheter... is it working? *wink *smile *blows kisses) I heart You! Now would you just look at these beautiful cuffs? They will look super cute in any color. You can make them with any worsted yarn and a G hook. They work up so soft and supple and have a distinctly feminine look which complements any outfit. 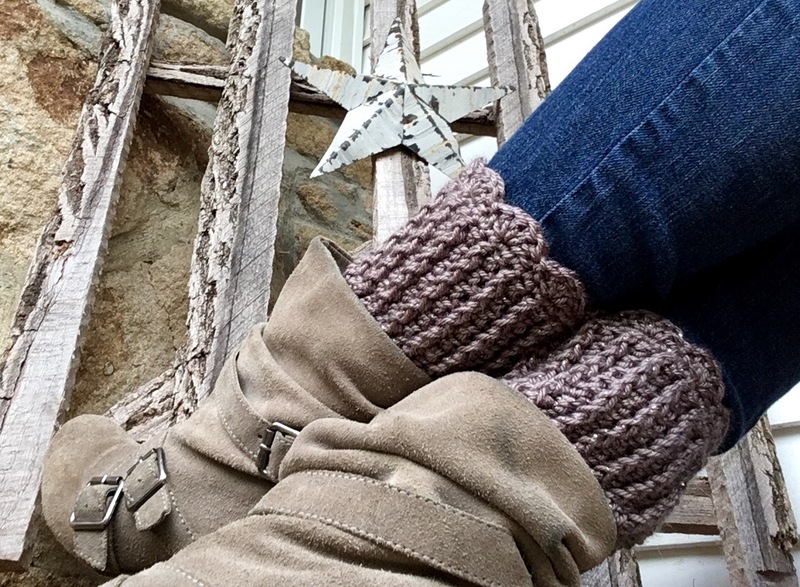 I just love the way those little scallops peek out from under the boots! I even made a mini-version for my daughter. The pattern is very easy to scale up or down for a custom fit in any size. I can't get enough of that Red Heart With Love Metallic yarn, it is so luscious looking! 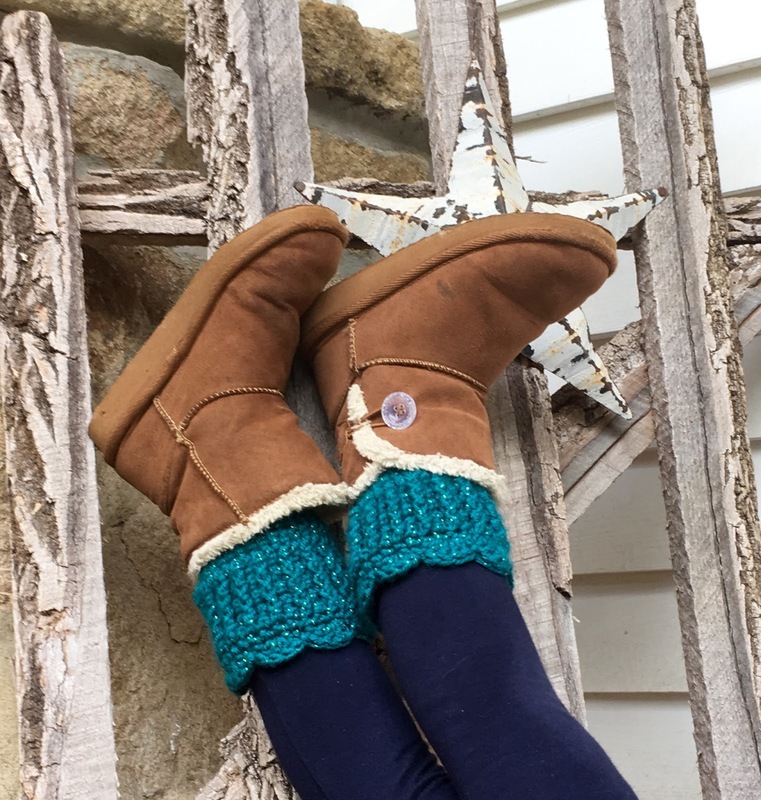 Now, without any further ado, please click the link below to be redirected to the Stitch and Unwind blog where you can view and create the newest design from Haute Kippy, the Sweet Scallops Boot Cuffs. Click HERE to Get Free Pattern- Sweet Scallops Boot Cuffs Guest Post on Stitch and Unwind!